Who’s Been Sleeping In Our Grave? Sixteen year old Tessie, formerly vibrant, is found dumped, near-death, in a field of Black Eyed Susans, covered by a shallow grave filled with decaying girls and old bones. Years of therapy and one very big trial, accusing an unfortunate black man who happened to be near at the time of the accident, have never shed any light on the darkness she cannot, or will not, remember. Now, as an adult single mother, still haunted by the voices of the vengeful “Susans,” she must confront her monsters all over again. 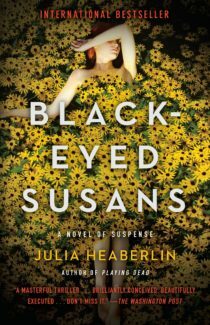 Her supposed killer is about to undergo the death penalty, yet the evidence is sketchy and what Tessie knows weighs heavily on her – no matter where she moves, no matter what she does, strange, unseasonal plots of Black Eyed Susans follow her. Her tormentor is still at large, still watching her, and now her young daughter. 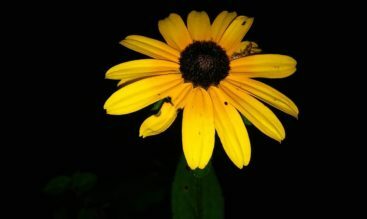 Told in alternating chapters between the young, traumatized, semi-vicious Tessie and the older, tired, and haunted woman she becomes, Black-Eyed Susans is part psychological (and forensic) thriller and part mystery, with the subtle undercurrent of supernatural horror disguised as unresolved trauma. 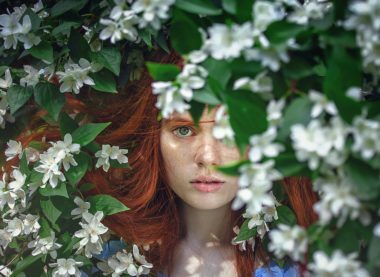 The narrative has a quality to it that catches, grasps the throat and chokes us with the dirt of the grave and the unresolved question of why – why would anyone do this to so many young women and why was Tessie, of all of them, left to survive and remember? Concerned that her testimony, skewed and purposely lead by lawyers with an agenda and police with a desire to just arrest someone and close the case, Tessie confronts what is right while also struggling against her fear of remembering, her desire to self-protect at all costs. And so the novel acquires a slow burn quality, oscillating between the surreal aftermath, a peculiarly macabre girlhood friendship and its ironic dissolution, sessions with a seemingly patient psychiatrist, and a certain sense not of survivor’s guilt but of survivor’s rebellion. Julia Heaberlin captures us, then, with her ability to slowly weave a tale with train wreck qualities and tense language. The novel, although slow, is excellently paced to unveil a life shattering mystery, decades buried. Add a host of forensic scientists and a lawyer for the soon-to-be executed innocent, and you have a tale that while a little typical in some aspects (a love triangle will develop, near misses will be interpreted as intervention from a faraway killer instead of court following crazies, etc.) is nevertheless entrancing and unique, a certain dash of grimness adding to its earthy flavor. But then, the conclusion . . . would that I could remove it from the book. The care taken to slowly unspool the story and its multiple factors from the psychiatric session to a bizarre girlhood friendship that just might connect to later events accelerates into an unlikely deus ex machina in which we get a wild, unfounded tale, a quick succession of revelations, an unbelievably and complicated execution of torment, and so many loose strings you could make a blanket out of them with threads to spare. Imagine a cozy reader in slow motion throwing a book and yelling “noooooo” and you can visualize how I took this sloppy ending for an otherwise excellent and tight book. Yet, I still recommend the book (I did actually give it to my mom as a Christmas present), mostly for the enjoyment I got out of reading it and following the atmosphere of the story up to the disastrous ending. There is still some magic, admittedly dark, that lurks in these pages and a tale that is just almost there. This is one of the few times I’d love to see an author reboot an idea and in so doing, fix an ending that was completely inappropriate to the tale.